Make plans to cut back on socializing, restaurants, Ultimate Frisbee and visiting relatives. Think of your project as an internal adventure but make sure your library card is up to date. Get lots of art materials in advance, particularly supports. You may plan on a format or a set, but be prepared to change your mind and to go out and get something different. Look at a calendar and note carefully the beginning and end dates. (Two weeks is not enough — two or more months is better) You can live with anything if you know the time-frame. The idea is to achieve a self-managed productivity zone that gets your creative beehive buzzing. As in quitting smoking, the first few days are the most difficult. Don’t talk a lot or tell your friends what you’re going to do — let your produce do the talking. Eat lightly. Sleep well. Awake rested, without guilt, and start working before Cheerios. See the clock tick and hum and realize that time is gold and wisdom has always respected it. Measure time by signature accomplishments. Have no venue in mind but gradually fill your own space. Alternate days — inside, outside, or other stimuli — in order to cross-pollinate and speed up the metabolism of ideas and motifs. Walk the tightrope of originality and influence and kite your own spirits. Act as if your greatness always was there, and it will be. Sweat a lot. Make a lot of stuff. Quickly get rid of stuff that is sub-standard. Always ask, “What could be?” Believe in miracles. This letter was originally published as “Time travel” on June 29, 2001. I find that 2 things help me keep structure over time…consistency and sequence. Consistency for me means using my best time for painting, and not allowing for interruptions of that time. For me, it’s morning, so I’m at my easel at 7 AM and I paint until noon, consistently. After that I do other things. If i can’t paint, I do art-related work. But mornings are for art, period. The other focusing agent is sequence. If I have a strong center of interst ( ie. A recent trip to Venice, spring flowers, following the seasons at a nature area in the foothills – something that creates a series of work, something which pushes me to the next piece and beyond. With a series in mind, I can begin to roughly plan where I might want to go with the sequence, but I need to keep that planning very open, as i don’t want to spoil the pleasure of working on the current piece. But knowing I will continue with this sequence gives me energy, direction and interest. I don’t plan the length of the series, or the layout of subject matter. I let the matrial inform me when I’m ready to move on. I’ve had sequences go for a dozen pieces or 2 or 3. The length isn’t important;it’s the on-going interest. Wonderful ideas! Wonderful advice! Thank you for sharing what works for you. I agree, solid gold ideas, Peter. Right to the point. I am making notes! Thank you for sharing. With the new format, I haven’t figured out how to print a letter….Can you develop a print option? Like many newspapers do? That is an excellent idea Carole. We will make it so that you can print this page, but it only prints the letter. In both Safari and Firefox (probably other browsers, too) you can click on the Reader View icon in the URL address line to select just the article without all the comments and print it from there. Safari’s icon looks like a page of blank text lines and Firefox’s looks like an open book. Hope this helps. Of course, my previous response only applies if the article from the email has been opened in a browser, which I assumed Carole has done or she wouldn’t have had access to the Comments area. For now, take a screen shot, save to desktop, open it and hit . Then you can either save it as a pdf or make a hard copy. His suggestion…make art piece an adventure…is why I love assemblage art. 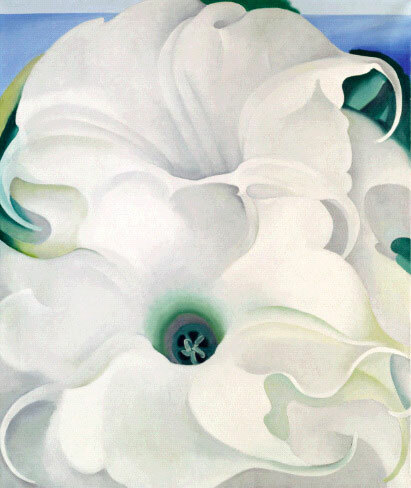 this is a beautiful Georgia O’Keefe painting, isn’t it?? She is my white on white guru. She knows how to do it like no other. I’ll be in a show with two other painters in September. I just moved. Studio is not set up but I did a few pieces prior to move in preparation for the show. This summer will be a challenge in terms of getting myself ready and having enough art work. Also does anyone know where to buy flat storage shelfs or drawers for watercolour paper. I have some huge metal ones but they take up half my studio space. I want to replace with something smaller. I have recently had travel plans cancelled …. I’m almost happy about it, I have the whole month of July to create. I think I will paint in th e garden when possible. It’s kind of exciting planning my own ‘creative journey’. Thanks for the inspiration. This is so well written and so helpful. I am keeping this to help me in the future. Thanks, again, Robert. You are great. I’m with Verna. Doing those things is utterly unachievable for those of us who have jobs and family commitments leaving little time left for art. So finding time without feeling guilt is a big problem for us, and abandoning all our little luxuries is asking too much. Does that mean that we are not dedicated enough? The creative flow is a very tricky thing. What works for one does not work for another. However, it’s interesting that the process is similar regardless of what form of art you work in. For me, as a novelist who likes to write about artists, I see that we all develop our own ways of courting the muse and then trying to practice the art. What’s important is finding what works for oneself. Sara, I love the look of the new website. So clean. Beautiful. Always good advice to motovate artiest. I’ve always had many challenges in juggling my time. In fact, spending my ‘off time’ in reading about the newest techniques and practises takes up most of my ‘art creation time’. Your post of structure will help me to realize I have enough knowledge to allow myself to create art. Too many ideas have proven to get in my way. In the end, when I finally do give myself the time to paint, I really do my own thing anyways. 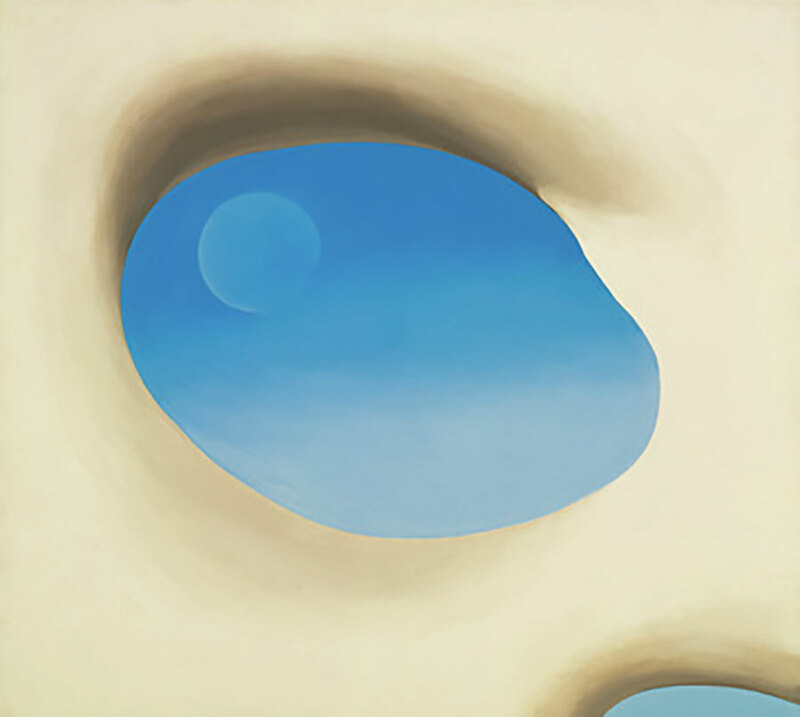 The idea of reading about other artists and techniques appear to be intriguing for me and are part of my journey, albeit, not very productive. When I finally do create art, I jump in with two feet. Thank you for your valuable strategies to stay focussed. One of my Professor’s once said, “Art is long and Life is short”! your thoughts about committment and creating a series on a particiular subject, being focused are all very valuable topics and ideas I find I need to confront. Have been struggling with finding my artistic voice. and feeling bewildred. I have just come to the end of 6 months of painting daily. I get up at 5 , paint for 4 or5 hours then go on with my day.. I am showing the series I completed in an exhibit this summer. It was the most productive studio time I have ever experienced. I can’t wait to start a new series, and back to my schedule. I don’t cut back on anything except fat and sugar. lol There is always time for those things you love. Art is my passion. I find my happy place in my morning as I sit and stare out at the Lake in front of me. My creative juices flow, my art materials are in and on an old dresser in the corner of my kitchen; note I have a studio,,,but in he worlds tinest great room kitchen and with view of the Lake …its just a fun place to paint or doodle, write down ideas , etc etc while sipping my morning coffee and a place to color my pjs with more paint. I paint pictures in my minds eye , many become works at a later date. Be sure to write down the fabulous ideas that flow, if not you will forget them. Working on a series is an endless project, I love it..as there is never an end to the series. it just seems to grow larger. What fun. I love and I am so thankful for the Painter Keys…Robert fondly remember and never forgotten and for Sara carrying on. I just figured out how the comment thing works. OK so its an adventure. Other comment looks like a reply to Bees Harvey. I am a developing artist but also have other interests in my life that I want to continue to pursue. What works for me is to set aside Monday mornings to paint and to think about painting….reading, considering future compositions, etc. . Then once I get started, I inevitable get into the painting I’m working on, and then I’m drawn To make time for painting at least three or four other times that week…as other commitments allow. It’s like reading a good book….once you get started, you get hooked. Usually I don’t paint on weekends…but on Sunday I start looking forward to my creative time and wake up excited on Monday morning, knowing I’m going to play with paint! Years ago I designed and had built cupboards with a couple of paper drawers which hold my papers stacked vertically. I had moveable dividers made for the drawers so that I can keep the papers stacked tightly enough that they do not bend. I had one build slightly larger than 22X30 papers (the width of the drawer is 24″ and inside drawer height looks like 30 1/2″) . The counter top is 36 1/2″ from the floor. The second drawer is made to hold half and quarter sheets. This holds tons of paper as the drawers are the depth of the cupboards. I tried to attach a photo of the drawer but could not do it. The Cupboards are attached to the wall by a cabinet maker and the drawer supports (the metal ones that side) are heavy duty to take all that weight. It is really easy to pull a sheet of paper up and out of the drawer. Hope this helps. You could likely get just one unit built rather than an entire cupboard as long as it attaches to the wall or is stabilized in some way not to tip when the drawer is pulled out. A cabinet maker would know what is needed.